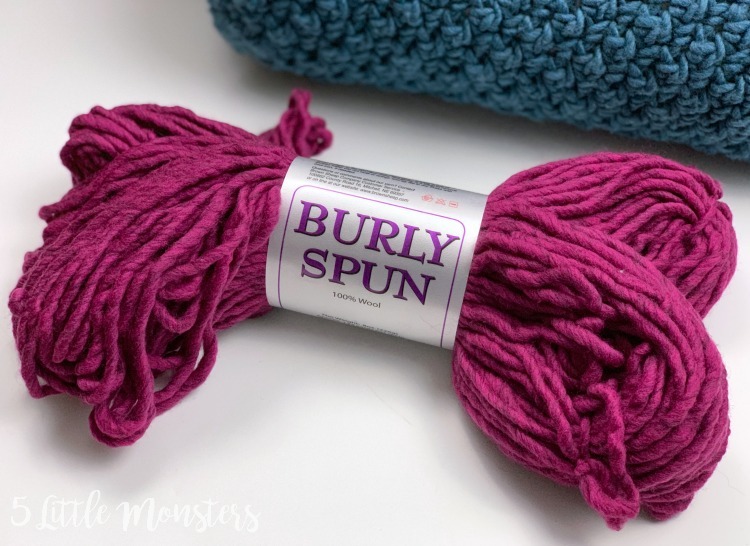 Burly Spun is a thick one ply yarn that is 100% wool. Each 8 oz. skein contains 132 yards. It comes in lots of colors that have a somewhat heathered effect. 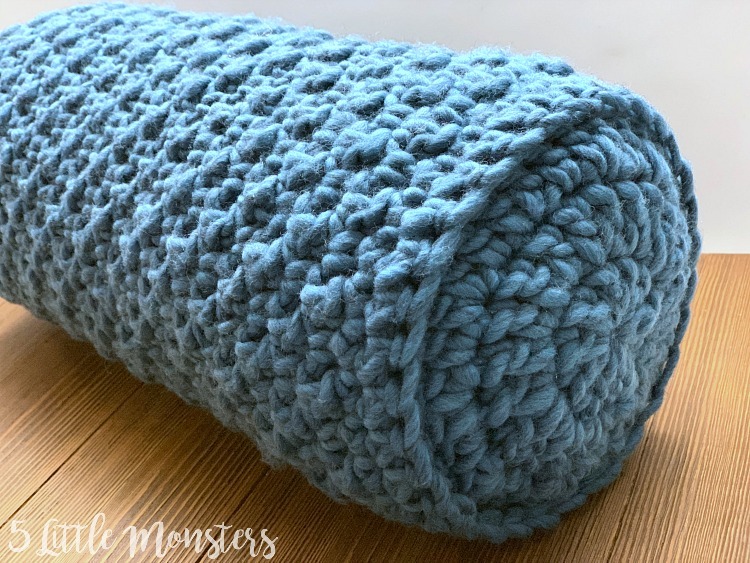 You can use it for knitting, crocheting, weaving, or even needle felting. 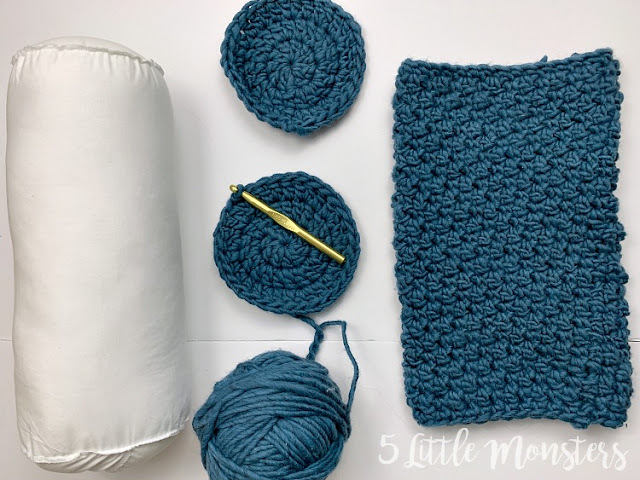 No surprise, I used mine to crochet. 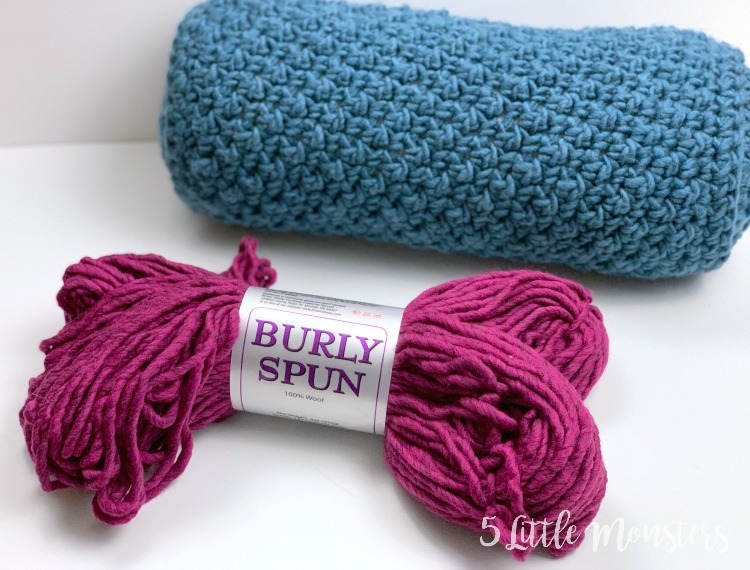 I love the stitch definition that you get with the bulky single ply. 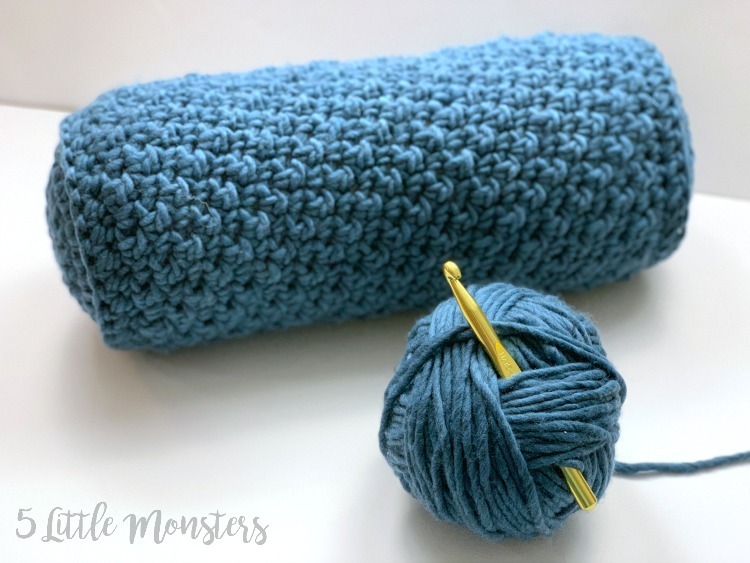 I think this yarn would make a gorgeous scarf or something, but I personally don't love using 100% wool for something that I will be wearing so I chose to go a different route. 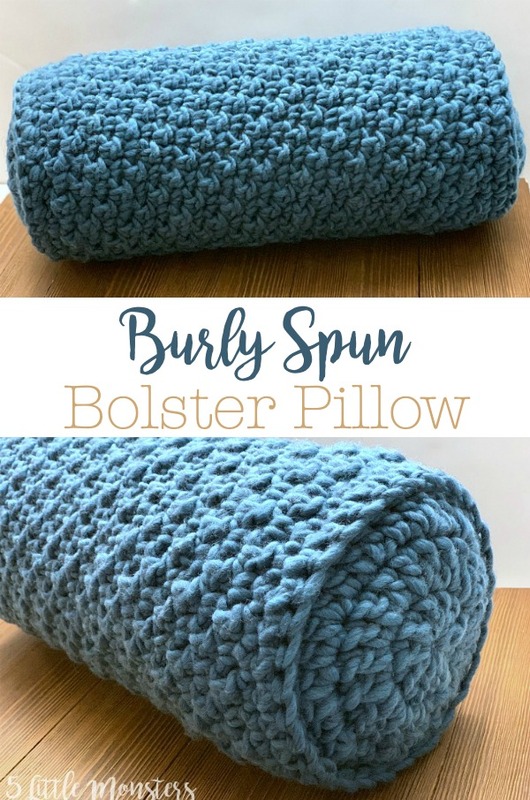 I made a bolster pillow, with a nice textured stitch on the main part of the pillow. I used a pre-made pillow form and crocheted the cover to go over it. The stitch I used has several names, griddle stitch, lemon peel stitch, and others. Basically it is just alternating sc and dc, and then in the next row alternating the same two stitches working sc in the dc and dc in the sc. It gives a great texture without being too bumpy. 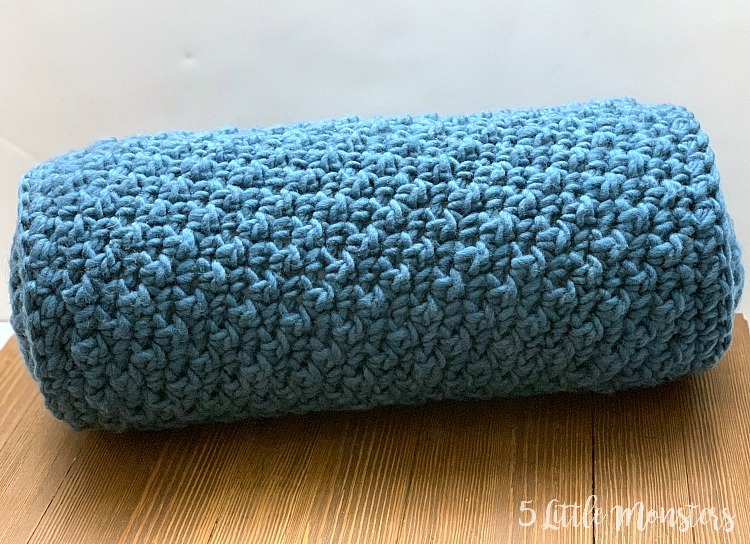 Fairfield World Neck Roll Pillow, 5" x 14"
The pillow cover is made in 3 pieces, 2 circles that fit on the ends, and one tube shaped piece that covers the main part of the pillow. The circles should be about 5" across, the tube piece should be about 14" long, long enough to cover the pillow. 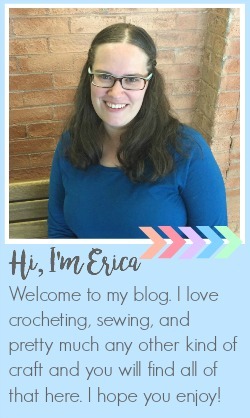 Erica, I love this, I think I might have to make one. What a nice project.